Whether your skin has been damaged by over-exposure to the sun, developed sun spots, or your skin is simply showing common signs of aging, laser technology at the Laser Essential & Skin Care clinic in Toronto can help you recapture clearer, healthier-looking skin. Laser technology is used to correct a variety of skin imperfections, from pigmented lesions and birthmarks to spider veins and broken capillaries. Laser Skin Rejuvenation, is also used to clear less pronounced skin blemishes, helping people rid themselves of conditions that can tear away at self-confidence. To learn more about cosmetic enhancements that are safe, effective and virtually pain-free, schedule your free consultation with a Laser Essential & Skin Care specialist today. Laser Skin Rejuvenation, is a non-invasive procedure that uses state-of-the-art laser technology to clear numerous types of skin blemishes, imperfections and sun spots. During a procedure, pulses of laser light are applied to the surface of your skin, where they are absorbed by cells beneath the skin to eliminate discolored, raised or otherwise damaged cells. What types of conditions can Laser Skin Rejuvenation treat? 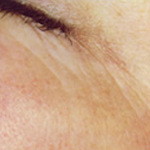 Laser technology can be employed to treat a wide range of skin conditions. 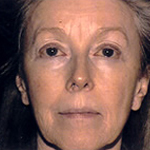 At the Laser Essential & Skin Clinic in Toronto, we use Long pulsed Alexandrite & YAG laser to treat patients who are suffering from enlarged pores, dull complexions and virtually any other facial imperfection or abnormality, and while Laser Skin Rejuvenation is a term typically reserved to revitalize areas of the face, the same treatment is available to eliminate skin imperfections on the neck, decollete, chest and hands. Laser Skin Rejuvenation gives a warmth sensation. Laser Essential & Skin Care clinic in Toronto benefit from our Zimmer Cryo Chiller, a new technology that reduces discomfort during a laser procedure by blowing a constant stream of cool air over the surface of your skin. With the Zimmer Cryo Chiller, a computer-controlled cryogen applicator maintains the skin temperature to a comfortable level. Procedure time varies depending on the nature of the imperfection. Most sessions last from 20 to 30 minutes. 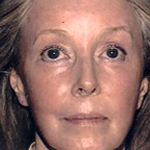 Is there any downtime following Laser Skin Rejuvenation? No. Patients are free to resume all daily activities immediately following a procedure, although your Laser Essential & Skin Care specialist will advise you on certain restrictions, such as avoiding sun exposure for a period of about a month. Can people of all skin types benefit from laser therapy? Yes. The state-of-the-art lasers at the Laser Essential & Skin Care clinic offer customized treatment to skin of any color and texture. How much does Laser Skin Rejuvenation laser treatment cost? The cost of Laser Skin Rejuvenation treatments varies depending on the size and location of the imperfection and the number of treatments required. The Laser Essential & Skin Care clinic is a market leader in offering the lowest prices of any laser therapy clinic in Toronto. Financing plans are available to help make laser therapy more affordable. Schedule a free consultation with a Laser Essential & Skin Care specialist and learn more about Laser Skin Rejuvenation procedure.